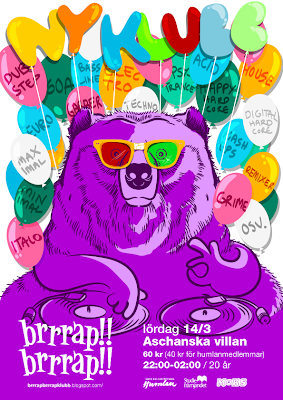 Me and 3 friends are starting up a club in a few week first event will be at the 14th of march so if you're in Umeå that evening be sure to drop by and dance to some heavy tunes. "Brap!! - A sound uttered when a heavy tune comes on usually heard in garage raves. Combine with gunfingers for best results. "Aw big tune mandem!! Braaaaap!!!""